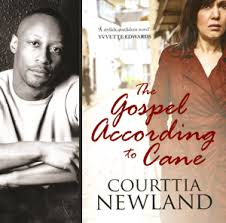 I’ve just finished reading The Gospel according to Cane by Courttia Newland. A heartrending story about a woman, called Beverley Cottrell of West Indian parentage who has her son taken from her some twenty years ago. She is educated, previously married and taught English in a prestigious private school, a woman who seemed to have everything but as a result of this tragic action, the experience leaves her damaged, single and withdrawn. We meet her presently living in a house alone, teaching kids at an after school club and attending therapy sessions until one day, a young man comes knocking at her door claiming to be her son. She receives this son named Wills gladly but does it repair the damage done to her, to Wills? The prose is mature and juxtaposes nicely with the street slang spoken by her son, and the children she teaches. The characters whether it is the protagonist or secondary characters, are nicely drawn. In fact one of the characters, Ida jumps to my mind. She is so real. A woman of a certain age who probably was born after the second world war; she is happy to entertain Beverley in her home, happy to bake her a cake but is still ambivalent about the black ‘youth’ and black people and when there is a kerfuffle on the landing between Beverley, Wills her sister Jackie and her husband Frank, she remains hidden behind the ‘blankness’ of her front door and retreats into her reserve. Then there is Frank. We don’t see him too much but when he appears with his dominant and bitter wife, Jackie, you like that he is there, acting as a go-between between the two sisters, attempting to play down the tension which exists between them. Also Newland subtly establishes the fact there are segments of the black community that are middle class i.e, they are aware of Arnica and they shop at up market supermarkets and are concerned about speaking English, properly. This is shown through Beverley, who finds badly spoken English irritating. People say time is relative, a point with which I agree. …the nature of time as experienced by human beings is the amazing ability to occur simultaneously in the past, present and future. Everything on the planet, from the tiniest amoeba to humankind, has been is being and is also becoming. That we exist cocooned within an unseen element shifting faster than we can comprehend, that no sooner than we enter the present it is already the past and we are always, without pause, speeding full throttle towards the future. Ponder this, if I lift my finger and touch the end of my nose, I am touching my nose in the present, have touched my nose in the past and about to lower my finger from my nose in the future. All exist at once. I don’t know if Courttia was/is conscious of this concept whilst writing his novel but it is profound and in keeping with all things to do with Singularity. Overall, this was an interesting read: I loved the beautiful prose, the descriptions of the characters but if I have to make one criticism it would be the ending. However, Newland is definitely a chronicler of the Black British experience; I believe this is the fourth book I’ve read by this author and trust that he can write our experiences honestly, with maturity and with sensitivity. I can’t wait to read his next book.